There’s no denying that Ukraine has far more than its fair share of attractive women, and for that reason you’ll find tons of Ukrainian dating sites that promise to help you meet them. 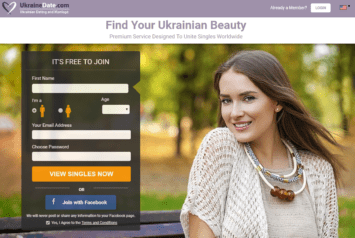 In this article, you’ll get the 9 best sites and apps for dating in Ukraine. And at the end, you’ll learn about the “PPL” scam you’ll want to avoid so you don’t get taken for a ride. UkraineDate is one of the most well known Ukrainian dating sites. 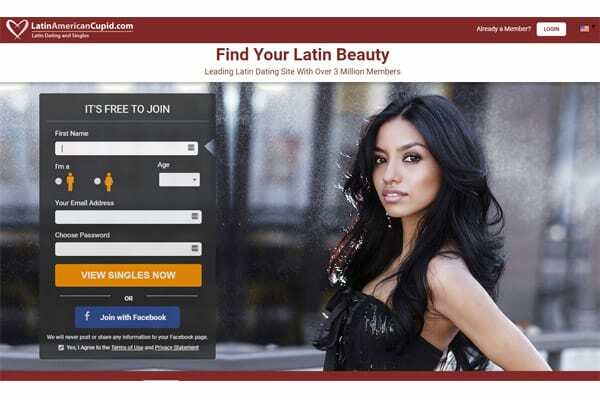 It’s owned and operated by Cupid Media, so it’s part of a large group of reputable international dating sites. Many of the attractive Ukrainian women you’ll find on this dating site are specifically hoping to meet (and marry) single Western men. This is a great place to begin the search for your Eastern European beauty before you step foot on an airplane. Although basic functions such as creating a profile and viewing photos are free, you’ll need a premium subscription to send the first message or use the chat functions. 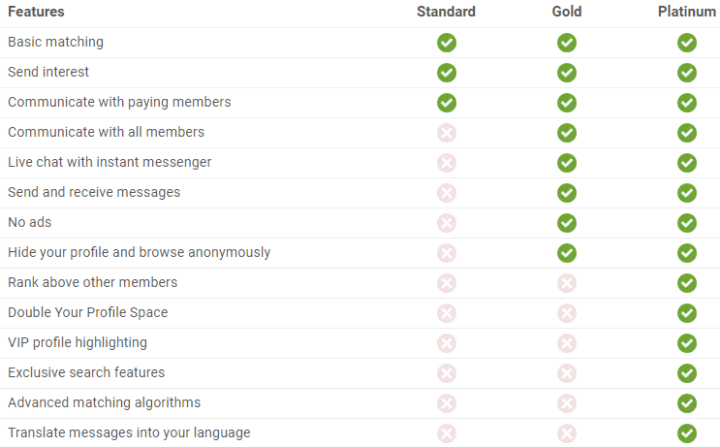 Free users can only respond to messages sent from Gold or Platinum members. 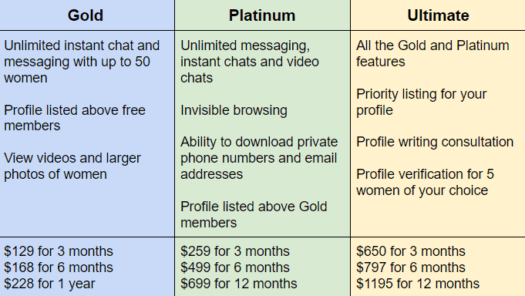 A Gold membership costs between $10 and $29.98 per month, depending on whether you purchase a 1, 3, or 12-month subscription. A Platinum membership costs from $12.50 a month to $34.99. PRO TIP: When you send a message to a woman on a “serious” Ukrainian dating site like this one, consider mentioning that you’re planning to travel there at a specific time (i.e. “in a few months” or “this Spring”) in a P.S., or add something to that effect in your profile. If she’s also serious about meeting someone special, she wants to spend her time messaging a guy who can make a trip happen. Letting her know you can actually visit Ukraine helps separate you from all those other guys who seem to just want a penpal. Elena’s Models is one of the biggest Ukraine dating sites, and has been helping Western men find the Ukrainian woman of their dreams since 1999. 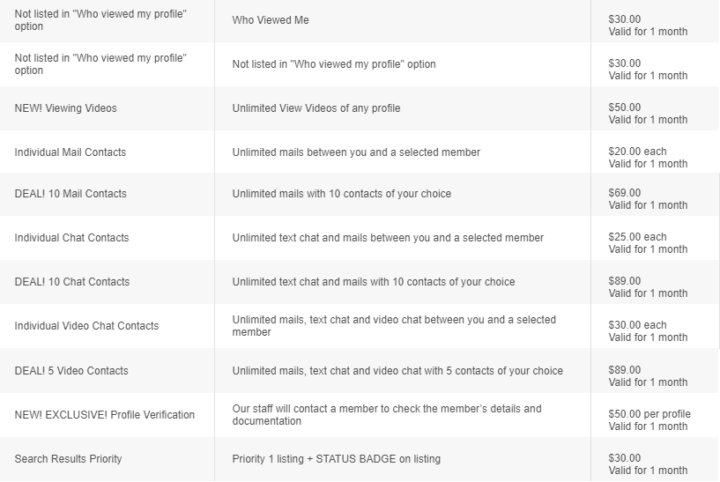 You can browse profiles, send 20 “expressions of interest” and see the last 10 women who viewed your profile for free. But a free membership expires in 1 month, after which you’ll need to purchase a subscription or pay to contact women individually. If you don’t have a trip to Ukraine already in the works, sticking with the first two dating sites in this list is your best bet. But if you’re about to travel there, or are already in the country, give Badoo a try. There’s a section called called “Encounters” where you can swipe left/right on profiles, and Badoo also has a feed where it displays nearby users who share interests with you. If you “like” a profile and there’s mutual interest, you can message with them. Badoo will also let you know where and when you’ve crossed paths with other Badoo users, provided they have interests in common. You can give the Super Powers a test drive by purchasing a 1-day ($1.99) or 1-week subscription ($7.99). Or you can commit to 1 month for $25.99, 3 months for $63.99, or 6 months for $95.99. You can even buy lifetime access for a one-time payment of $159.99. Badoo is more of a casual dating app, so if you’re looking for a serious relationship or marriage you’ll likely have better luck on a site like UkraineDate. To learn more about Badoo, go here. Similar in structure to Badoo, Mamba is also a favorite dating site for Ukrainian singles. It’s a true international dating site, as you can meet attractive women living all over the world. Mamba attracts women looking for the entire spectrum of relationships, from friendship and flirting to marriage. You can swipe through profiles in the “Encounters” section, or use the detailed search criteria to search for women who meet your “perfect partner” ideals. Browsing profiles and sending messages is free. Subscribing to a premium membership gives you invisible browsing, unlocks additional search filters like height, weight, and sexual preference, and the ability to undo your last swipe in the “Encounters” section. A premium membership costs between $5 for 10 days to $50 for 1 year. You can also pay to unlock the premium features on a “per use” basis. Mamba has some English speakers on it, but you’ll likely need to brush up on your Ukrainian or Russian, or use Google translate. If you’re planning a trip to Ukraine and want a beautiful woman to show you around, give Travel Girls a try. The site links women living all over the world with men who want a traveling companion, and you’ll find plenty of Ukrainian singles on it. Travel Girls isn’t a traditional dating site, but if you’re looking for a more casual relationship it’s a good place to find one. You could even find the perfect girl to travel the world with for a short time, ya know… if you’ve got that kind of time and money at your disposal. It’s free to browse profiles and view photos, but you’ll need a premium membership to read and send messages. A full membership costs $69 for 1 month, $156 for 3 months, or $199 for 6 months. Nowadays, Tinder is everywhere you want to be and Ukraine is no exception. You’ve probably used Tinder before, but in case you haven’t, here’s how it works: When two users swipe right on one another’s profile, a match is formed and they can start exchanging messages. While Tinder’s got a more casual vibe than a “serious” dating site like UkraineDate and Elena’s Models, you’ll find Ukrainian women seeking all types of relationships, from hookups to marriage. If you’re going to be in Kiev or another big Ukrainian city, you should at least do some swiping while you’re there. Most of Tinder’s users live in or near cities, so if you’re in a more rural area of the Ukraine you’ll likely have better luck on UkraineDate. Swiping profiles and messaging women is free, but you’ll only be able to “like” 100 profiles in a 12-hour time span. For unlimited right swipes, you’ll have to upgrade to either Tinder Plus or Tinder Gold. For $9.99/month ($19.99 if you’re 31+), Tinder Plus gives you all the right swipes you can handle, plus it unlocks the Passport feature. That means you can swipe through profiles in any city you want, which is great if you’re traveling throughout the Ukraine and want to get some dates in the works before you reach your next destination. Restrict what information other users can see about you, like how old and far away you are. “Boost” your profile for free every month, which means you’re one of the most popular people for 30 minutes in your area. Only allow people you’ve “liked” to see your profile. Swipe through the most recently active users first. Tinder Gold costs $21.99 a month, but you can get the price down to $10/month by committing to a year at once. You’ll unlock all of the Tinder Plus perks, plus be able to see a grid view of all the people who have “liked” your profile already. Any profile you like in this section will be an instant match. Just like Tinder, Happn is definitely worth firing up once you’re already in Kiev, Kharkiv or another large city. This popular dating app shows you all the Happn users you’ve come within 250 meters of during the day. It will also show you how many times you’ve crossed paths, and where and when it happened. If another user is currently nearby, it will notify you. When you see someone you’re interested in, just “like” her profile. If the interest is mutual, a match – or “Crush” – is made and the two of you can exchange messages. There’s also a section called “I’m Free To”, where you can choose activities like getting a drink, seeing a movie, or get something to eat. Other Happn users who cross your path then have 6 hours to respond to your date suggestion. Responding to someone else’s date suggestion requires spending a credit, which are earned while using the app, or purchased outright. For a full review of Happn, check out this article. Teamo is a Russian dating app that’s also popular in the Ukraine, especially with women seeking long-term relationships and marriage. Teamo offers a twist to traditional swiping apps like Tinder by offering a “Maybe” option. There’s also a section where you’re presented with two profiles, and you can choose the most attractive one. Part of the signup process involves taking personality and compatibility tests, and the matching algorithm is based on the 17 different matching characteristics the tests reveal. The basic features of this popular Ukrainian dating app are free, but if you want perks like seeing all the photos for each profile, unlimited messaging, and knowing who “liked” your profile, you’ll need to upgrade to a paid subscription. Unlocking these features costs $8.99 per week, $29.99 per month, or $59.99 for 6 months. As with Mamba, many of the users don’t speak English. If you’re looking for a serious relationship and don’t have a lot of time for swiping, Once is a great Tinder alternative. Instead of scrolling through a match queue, Once shows you one profile at noon every day. 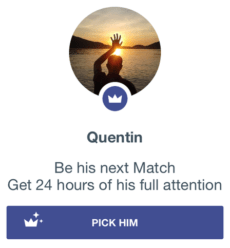 You get 24 hours to “like” your match, and if the interest is returned you can start messaging each other for as long as you want to. Select which match you’d like to get the next day, without alerting the match they were “chosen”. Send an icebreaker to your match before they’ve made a decision, as an incentive for them to “like” you. Get an immediate match with someone who’s currently logged onto the app. Get advice from a Once Matchmaker about finding your “perfect match”, and have her hand select your next match. 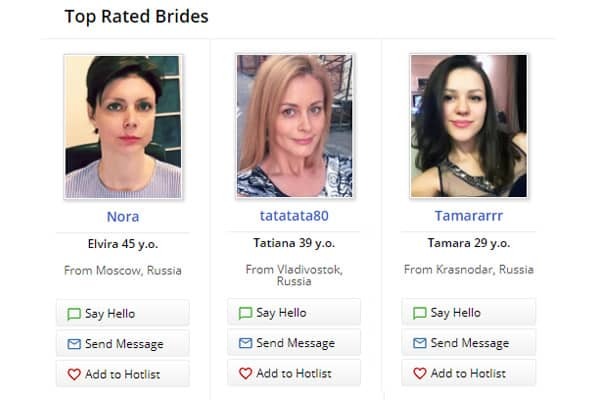 Once has some beautiful Ukrainian women on it, but you won’t find the huge user pools that Tinder and Badoo attract. And with limited matches available each day, it may not be the fastest way to meet someone special. If you decide to try Once, you’ll want to compliment it with at least one other Ukrainian site or app from this list. 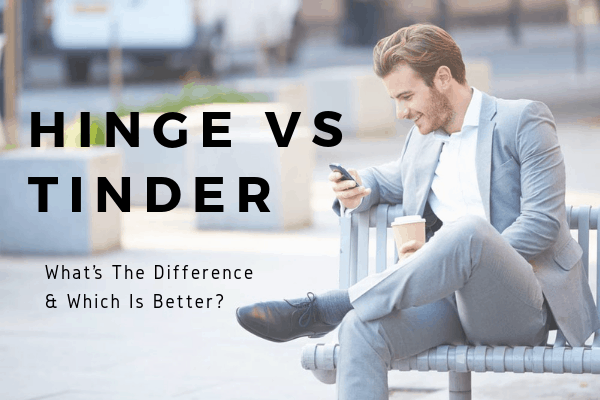 Many international dating sites have a “Pay Per Letter” pricing structure, meaning you pay a fee for every message sent or received, or every minute spent video chatting. Typically you’ll pay these fees with credits, which you’re required to pre-purchase in bulk. The credits are then deducted from your account as you contact women. One of the problems with the PPL format is that the messages are often sent by an agent or “supplier” on behalf of the women you’re supposedly communicating with. You can’t contact any of your matches directly, so it’s difficult to verify if they’re legit. And since you’re paying for each communication, there’s a financial incentive to make sure you receive as many messages as possible from beautiful women who seem very interested in you. Read through the Terms & Conditions of any site you’re thinking about trying carefully before providing any payment information, and consider only using Ukrainian dating sites like Elena’s Models that charge a flat membership fee for unlimited communication. You’ll also want to stick with sites that allow you to eventually contact the women directly, without having to go through an intermediary. Unfortunately, PPL sites aren’t the only international dating scam you need to watch out for. The promise of finding your soulmate is a powerful lure, and disreputable companies are quick to capitalize on it. Why not work with a company like VIDA that has already helped dozens of clients with successful trips to Eastern Europe? No matter where you live or what your relationship goals are, VIDA’s team of dating experts can help. If you’re serious about meeting a beautiful Ukrainian woman, you owe it to yourself to see how VIDA can change your life.